Winter's Coming. Don't You Know? In mid-October, we discussed the important fall turnover, but that’s all done. What’s happening now is even more amazing and unique. As the days and, particularly, nights get colder, so does the water, until it reaches 4oC. Then, usually in the dead of a calm, cold night, the surface water begins to get colder. And as it does, instead of getting denser and sinking, like almost every other liquid in the universe that we know about, it gets lighter and remains at the surface until, at 0oC, even lighter than the water around it, it freezes. “Why does it do this?” you may well ask. Well, it has to do with water’s molecular structure and polarity. Because it’s polar, each molecule has positive bits and negative bits, which want to stick to each other and to other things. That’s why water is sticky – put your hand in some and try to shake it off. Water molecules slip and slide around and stick to each other with a great deal of disorder until they freeze into an open lattice, or crystal structure that pushes each molecule away from any other. Since the ‘holes’ created are basically filled with nothing, ice is less dense than water. That ordering process starts at 4oC. Well, so what? This totally ordinary, yet absolutely remarkable event may be responsible for life as we know it – that’s what. Imagine if ice sank. Lakes would freeze from the bottom up, and sometimes freeze solid. With both water and ice being good insulators, they might never totally unfreeze, and remain quite cold. Sea ice would do the same (although sea salt complexifies things a bit), gradually filling high-latitude ocean depths with ice. Bottom-dwelling life could not exist in these areas, and life in the cold water above would be quite different, as would our climate. Instead, ice on our lakes and rivers insulates the water beneath, maintaining it at a stable 4oC until break-up in the spring. As long as oxygen remains, this is a pretty good habitat for aquatic life. You can track this important event, as well as break-up, or ice-out, from year to year. Keep an eye on your local lakes and ponds, and note when they freeze over for the winter. Keep those dates for comparison next year, and see if you can find data for past years. Consider joining Ice Watch, an ice monitoring website. Along with hundreds of others, you will contribute data for an ongoing analysis of Canada’s changing climate patterns. 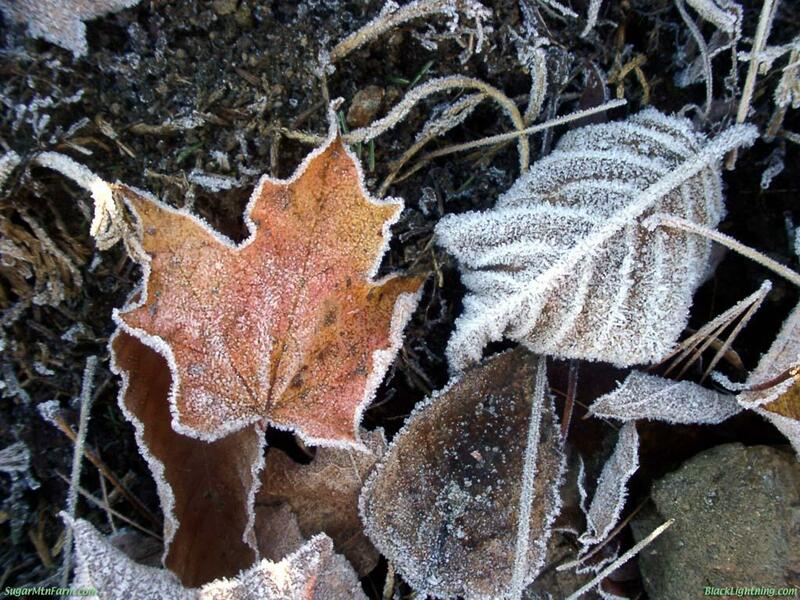 Even if you miss out on this fall's freeze, you can get in on next spring's thaw. The winter forecast is out, and it looks like a mixed bag across Canada. A developing El Niño will bring above normal temperatures to much of the western half of the country. Much of the rest will be near normal, with pockets of above normal temps in southwestern Ontario and parts of the Maritimes. Labrador, northern Quebec and Nunavut will be colder than normal. Higher than normal precipitation will occur in the Arctic/near Arctic, NW B.C. and most of the Maritimes. Lower precipitation will extend from the southern half of Vancouver Island through southern B.C. and most of Alberta, including the ski areas. Also below: most of Ontario, a swath through central Quebec and Labrador, and west of Hudson’s Bay. The rest will be near normal. Keep track, and see if this forecast comes true for your region. Snow Buntings have been moving through, and may be doing their synchronized flying tricks over a field near you. Their two-toned colouration makes them seem to appear and disappear as they swoop and swirl. It also makes them blend in well with the patchy snow areas that they prefer. They will burrow deep into the snow to avoid very cold temperatures. Snow Buntings may attract Merlins, Kestrels and Sharp-shinned Hawks. Ducks still lingering until ice-up include Common Goldeneye, Common Merganser, Hooded Merganser, Bufflehead and American Black Duck. December is a peak calling period for both Eastern Screech- and Great Horned Owls. Young Eastern Screech Owls are creating territories, calling, and getting return calls from established, older birds. Great Horned Owls are also setting up territories for breeding which begins in late January. Superb owl calls are available here. Scroll down a ways for both (they’re in taxonomic, not alphabetical, order). The site also contains links to good information on all owl species. Christmas bird counts take place from mid-December to early January. No experience is required, and counts take place during a single day within a 24 km radius. It’s a great opportunity to learn from experienced birders. If you don’t want to commit an entire day, you can spend two hours watching your feeder, and phone in your results to be included. Counts are run by local field naturalist clubs. Specific count locations and contacts for this year can also be found on this map. Here’s an example of trends from one Christmas count location. In addition to producing the middens described in late November, Red Squirrels will also nip off twigs containing cones or buds, and then run down to the ground and remove the cone or buds. Sometimes, the nipped twigs are left behind, occasionally with a cone still attached. Look for a clean snip, not a tear. Eastern Grey Squirrels can often be found in Norway Maples (and other maples), and both species will eat keys. 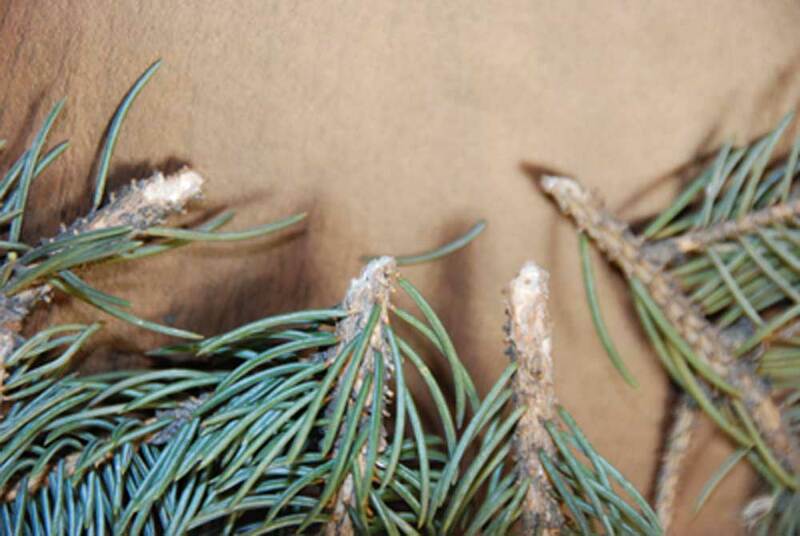 Many conifers are releasing seeds, shedding cones, or both. Look for seeds on fresh snow under the trees. Look also for any pattern to the cones. Not all conifers do this, but some have the large female cones concentrated near the top of the tree, above the smaller male cones, which are probably not visible now. Why? Because conifers are wind pollinated, and having the males below the females ensures that the pollen does not simply fall down onto a female cone from the same tree (self-pollination), but rather gets swept away by the wind, hopefully to land on a female cone from another tree (cross-pollination; more genetic variation that way). Cassiopeia looks like a lop-sided “M” in the northwest sky. Winter nights are also a good time to view the Milky Way, which can be seen from dark locations twisting its way behind Orion. It’s the side-on view of our own galaxy. The moon does a flyby of Venus December 2-4, and does the same to Saturn on the 8th and 9th.